Little, Brown Books for Young Readers, 9780316217491, 288pp. 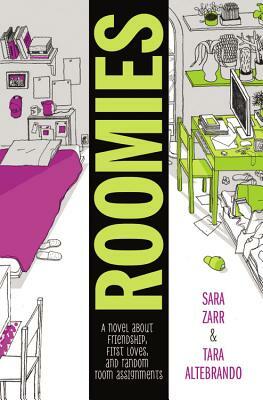 Sara Zarr was raised in San Francisco, California, and now lives with her husband in Salt Lake City, Utah. She is the author of The Lucy Variations, How to Save a Life, What We Lost, Sweethearts, and the National Book Award finalist Story of a Girl. Her website is www.sarazarr.com. Tara Altebrando is an author of books for adults and teens, including The Best Night of Your (Pathetic) Life, Dreamland Social Club, What Happens Here and The Pursuit of Happiness. She lives with her family in Queens, New York. Her website is www.taraaltebrando.com. *"The authors give the story big doses of humor, sensitivity, and sweetness, along with a complex and realistic cast; EB and Lauren's stories amount to two great novels in one."